In the middle of the Mecklenburg Lakeland, stretching from the Havel to the Müritz National Park, are the 9 campsites of Haveltourist. This enchanting landscape with its forests, heaths, moors, small rivers and crystal clear lakes is a true paradise for campers, water sports enthusiasts and all nature lovers. Many waters connected by canals allow for extensive water hiking. 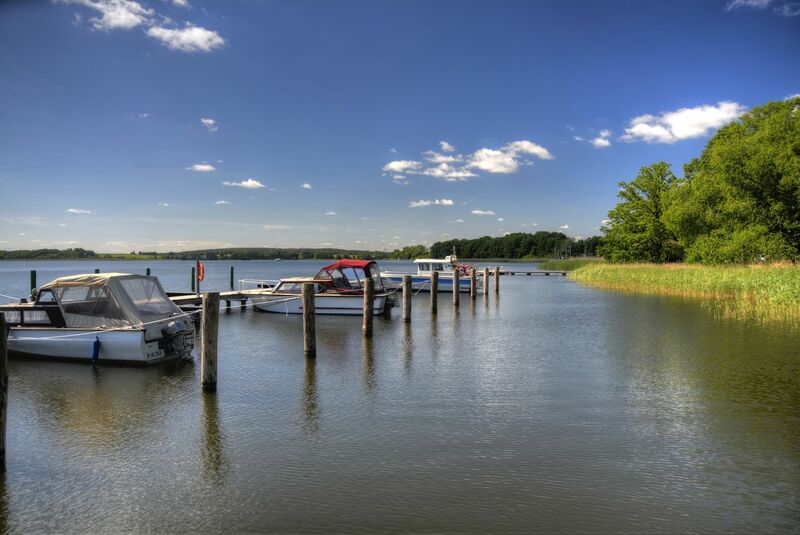 With 117 square kilometres of water surface the Müritz is the second largest body of freshwater in Germany, nearly as large as the Bodensee. On our campsite in direct lake-location we offer you holidays with high comfort and many leisure activities on land and water.We are looking forward to welcome you! The Mecklenburg Lake District - also known as the Land of the 1000 Lakes, as part of Mecklenburg-West Pomerania - is a dream treasure for water sports enthusiasts who want to enjoy the beautiful countryside in almost untouched nature by canoeing or rafting. The canoeing tours through the Mecklenburg Lake Plateau are popular for tourists and many different tours are offered. If you like, you can go to eight Haveltourist campsites, as all can be reached by boat. We will pick you up and take you to a desired starting point. Also rafting trips are possible. The Mecklenburg Lakeland and the Müritz National Park allow explorations by land and by water. Simply rent a kayak, canoe, rowing, motorboat or raft in our canoe-centre. There you get everything you need and off you go! Haveltourist runs 9 campsites at the Mecklenburg Lakeland. We offer our guests high level camping holidays. All campsites are located directly at the lake and offer a variety of holiday homes and caravans as well as pitches for caravans and motor homes. The camping and holiday park Havelberge is the largest of the 9 campgrounds and belongs to the group of Leading Campings Europe. High-quality sanitary facilities, pitches with supply and disposal facilities, a caravan park, a sauna directly at the lake, restaurant with lake view and terrace, a forest high rope garden, a large canoe centre with rental, a marina for 30 boats, day and evening entertainment. These are just a few parts of the total offer. Even the smaller campgrounds have a lot to offer. They are located eihter directly in or at the Müritz National Park. Two campsites offer nudist camping. The camping and holiday park Havelberge is part of Leading Campings Europe, a group of leading campsites in Europe. 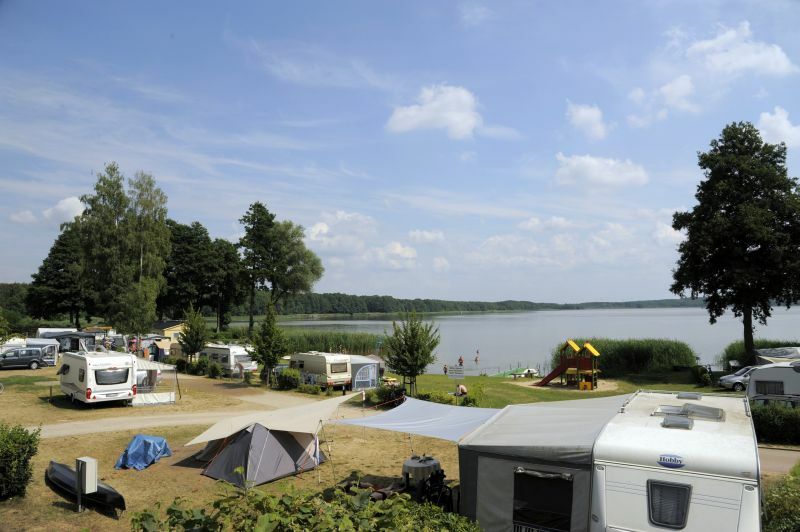 We offer holiday houses, mobile homes and caravans in the Mecklenburg Lake District. You can choose between a variety of different holiday homes, mobile homes and caravans on the lake and in the light pine forest. In every price category you will find a suitable accommodation for you and your family. Especially popular are our Swedish-style new comfort houses. The Havelberge forest high rope garden has been integrated into a high pine forest. Artificial obstacles from ropes and beams at different heights invite you to a very special climbing experience. Four different trails and a toddler course for the little ones are waiting for you. At the black part the adventure hikers get their money's worth. Camping and holiday park Havelbere: a varied entertainment program for children!